CW4 (Ret.) Neil Roy LaClair, 77, of Cusseta, GA, passed away at his residence on Friday, September 7, 2018. A memorial service will be held on Tuesday, September 11, 2018, at 11:00AM in the Chapel of Watson-Tante Funeral Home. Honorary Pallbearers will be Mr. Bobby Penny, Larry and Marilyn Hauck. The family will greet friends one hour prior to service time beginning at 10:00AM. He will be placed beside his wife of 40 years in Gale Cemetery, Childwood, NY, at a later date. Mr. LaClair was born October 28, 1940, in Sutton, VT, to Roy I. and Winona Niles LaClair. 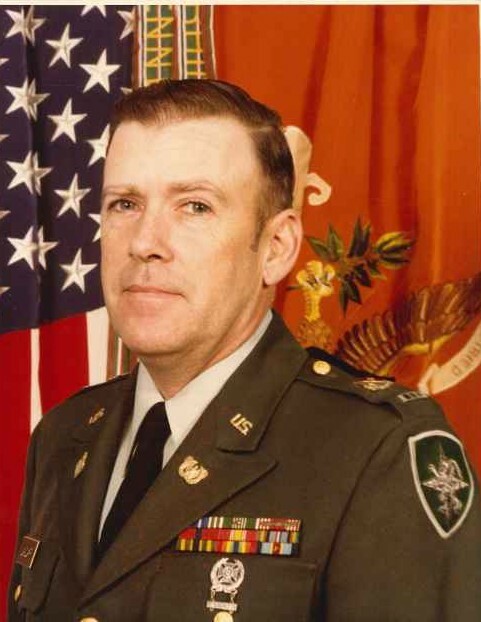 He began his military career in the United States Marine Corps and retired from the United States Army at the rank of Chief Warrant Officer 4. He served two tours in Korea and was given many medals and awards. Moving to Georgia from Germany 41 years ago, he was a member of the VFW and River Cities Model A Club. Mr. LaClair loved hunting, fishing, gardening, and animals. A collector of old things, he was especially fond of classic cars. While living in Tupper Lake, NY, he and his brother owned a Mobil Service Station. Mr. LaClair was Methodist by faith. In addition to his parents, he was preceded in death by his wife, Delite Jean LaClair.